Nice job by these new doom/stoner rock gods. This is pure Black Sabbath worship at it's finest, and most accurate. 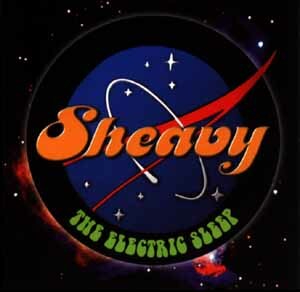 Some may question the integrity of an album that so eerily imitates the glory days of the might Sabbath, but Sheavy does it too well for it to matter. Usually, in a case such as this, I might be ranting about "lack of originality", but the fact is that I love Black Sabbath, and therefore I love Sheavy. See, the key difference in most cases is that when a band is imitative of anothers sound, it usually comes of as stale, irrelevant, and cheap. In Sheavy's case, the music is overwhelming and powerful, Steve Hennesey's haunting Ozzy-like vocals coldy penetrate your soul, and you become one with the monolithic miracle at hand. The album kickstarts with "Virtual Machine" and "Velvet", two of the best tracks, but kind of lets down in the middle portion of the record. "Born In A Daze" and the title track, in particular, are a little to derivative for me, but still decent tracks. However, once the up tempo beginning to "Automaton" kicks in, the album is back in full gear, and this time for the long haul. That's basically why I couldn't bring myself to give this a 5/5, it's not perfect, but I'll tell ya, it's damn close. Let's imagine for a moment that Black Sabbath and Ozzy were to reunite and come out with an album of new material in 1999. My contention is that it would not have near the emotion or grace that "The Electric Sleep" has. Rather, it would be a mechanical rendition of Sabbath's glory day formula, without the spirit. Sheavy, on the other hand, are so immersed in, and so blatantly affected by, the emotion of Sabbath's early music, that it honestly affects the listener (just witness the glorius vocals in "Savannah"). In short, this is the best Ozzy/Sabbath album since "Sabotage".